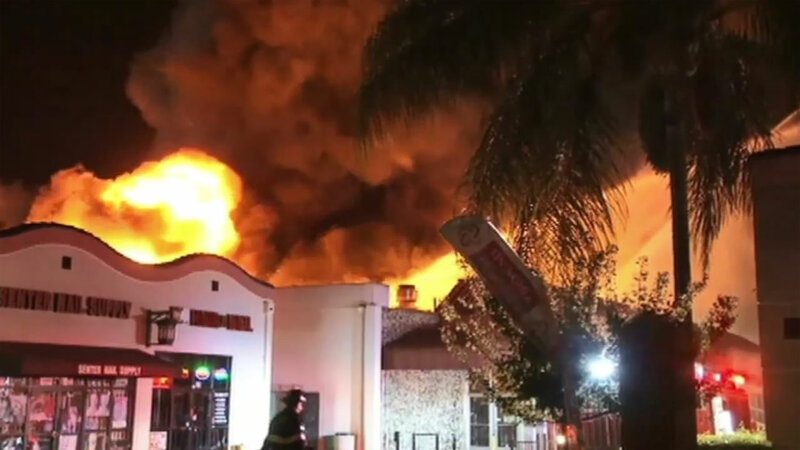 SAN JOSE, Calif. -- Firefighters battled a four-alarm fire that burned a grocery store in South San Jose Sunday morning. At 2:42 a.m., firefighters first responded to the fire happening at Cho Senter Foods, located at 2889 Senter Road, San Jose Fire Captain Mitch Matlow said. The fire began as a 1-alarm fire but was quickly upgraded to a 4-alarm fire around 3:12 a.m., Matlow said. The fire threatened a nearby mobile home park and firefighters ordered the residents to evacuate. Firefighters were able to contain the fire to the business and residents at the mobile home park were able to return to their homes, according to Matlow. No one was inside the grocery store at the time of the fire and there have been no reports of any injuries, according to Matlow. The cause of the fire remains under investigation, Matlow said.